Auto Home Profits Review - A Scam You Should Avoid! 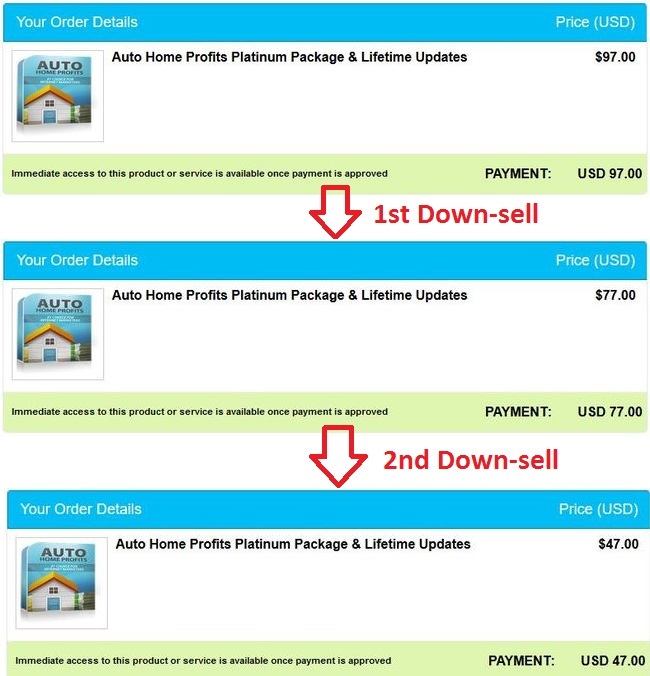 Auto Home Profits Review – A Scam You Should Avoid! If you found this Auto Home Profits review before making the purchase, make sure you read the whole thing and consider yourself lucky for avoiding an unscrupulous scam. But if you have made the payment, do not despair as there’s still a chance to recover your money. I have been a victim to multiple frauds before, so the purpose of this article is to alert you of the tactics used in Auto Home Profits scam and to teach you how to avoid similar scams in the future. I have reviewed and unveiled a lot of online scams in the past 2 years, and Auto Home Profits immediately came to me as the duplicate website of multiple other similar scams. Some of these scam sites that I’ve reviewed earlier include Home Career Starter, Ultimate Home Profits, Automated Daily Income and Work at Home University. Every single one of them uses exactly the same sales pitch and website layout, and all of them promise to make you good money posting links for the big companies. It’s not uncommon for these online scams to establish a lot of duplicate websites (same content with different names) so it’s hard for the reviewers and victims to track and expose them. However, in most cases, these scams have the same sales pitches and the same red flags that you can look out for. In the sections below we’ll expose some of the tactics used in Auto Home Profits and how we sniffed it out, so you use the same methods and protect yourself from other online frauds in the future. Who Exactly is Shelly Davis? Did Shelly Davis really made a fortune from Auto Home Profits? Within the sales page of Auto Home Profits, we were introduced to Shelly Davis, a single mom who made a fortune from the program and now she works only a couple hours a day from home. But can you really trust their sales page? Who exactly is Shelly Davis? I’ve done a simple reverse image search based on the picture provided on their website, and here’s what I found. A stock image was used to portray as “Shelly Davis”! Apparently, Shelly Davis does not exist! The lady featured in Auto Home Profits sales page is actually just a stock photo purchased from iStock, a stock photo vendor website. Anyone can buy these photos and use them as royalty-free images for commercial purposes. In this case, the scammers behind Auto Home Profits fabricated an identity using the photo and used it to promote their own scam. 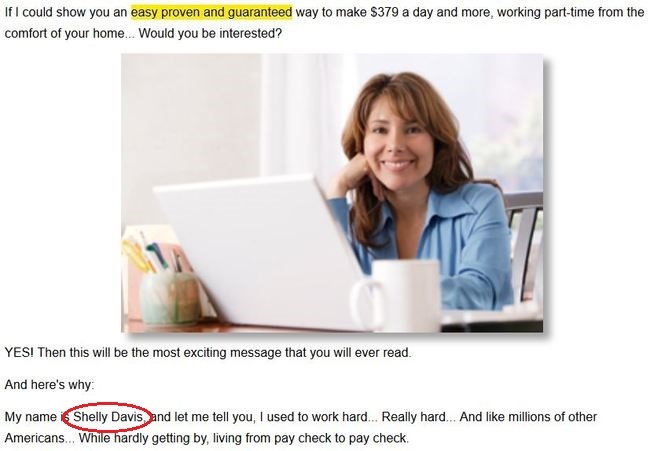 Interesting, the very same photo and sales pitch was used to promote a duplicate scam called Automated Daily Income. In Automated Daily Income, the same lady was given the fake identity of “Raena Lynn” instead of “Shelly Davis”. There are a couple of member testimonials sprinkled throughout the sales page of Auto Home Profits scam, and this is one of their common sales tactic too. If you are like the average victims, you could’ve felt excitement and relief that the program works for others. And that’s exactly what they want you to think! More often than not, these fake testimonials can be sniffed out by using simply a reverse image search on Google. 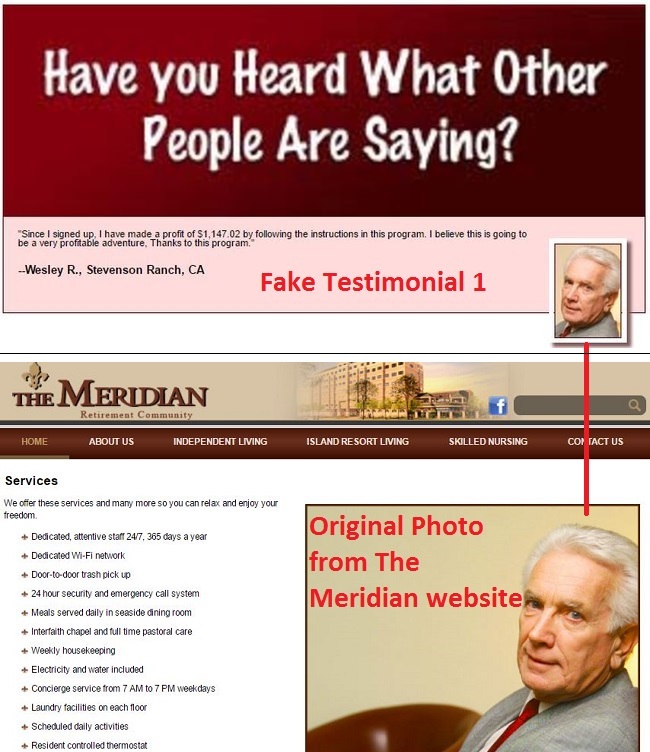 For example, by searching for the image used in the testimonial above, we found that the original image was obtained from The Meridian Retirement Community website. In other words, the scammers behind Auto Home Profits stole the picture from The Meridian website and fabricated a fake testimonial to promote the scam. Apart from the testimonial exposed above, other testimonials featured in their sales page were also fabricated with stolen pictures. 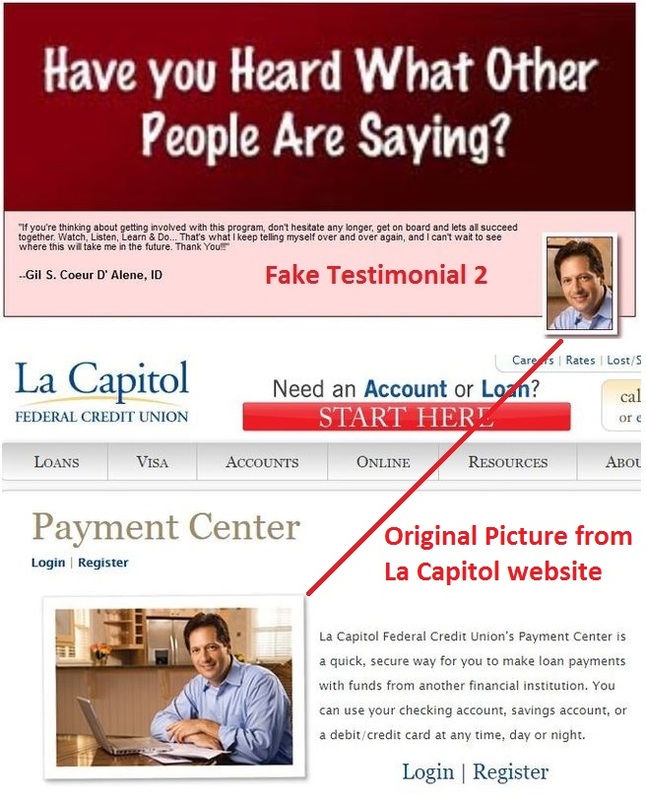 In the example above, the picture with the man was stolen from La Capitol online banking website. It is extremely common for online scams to fabricate fake members and testimonials to appear more legitimate, so exercise caution if you come across sales pitch that sounds too good to be true. Can You Really Make Money Posting Links? Are there really companies looking for people to post links from home? The short answer is NO. You can’t make money from home just posting links, at least not the way promoted by Auto Home Profits scams. 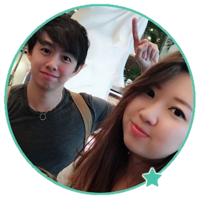 You need to understand the basics of making money online, and the first requirement you need to start generating income is to provide value and help people so people trust and purchase from you. The links you will be posting are simply spams like the ones you see in major forums or shady websites that don’t provide any value. Will you buy anything from those sources? In most cases, these websites that you post links on don’t even appear in Google search results because Google HATES spams. If there are no traffic to your websites, what are the chances of you making money? And why would the companies pay you any money if you are simply posting links that don’t generate any revenue for them? The business model described in Auto Home Profits scam do not work. It is just a hyped sales pitch used to lure victims into paying them money. When you finally reach the bottom of their sales page, you will be quoted a price of $97 to purchase Auto Home Profits program. People who believed the sales pitch may find this an incredible deal. Paying $97 to change your life forever? Why not? Not so fast. It turns out that if you try to close the browser window at the payment page, you will be given $20 discount immediately! With the price dropping to just $77, NOW that’s a good deal. Some people who were hesitating earlier may even pounce on this opportunity immediately. You just managed to save $20 by doing nothing. But is that the lowest it can go? Apparently the scammers behind Auto Home Profits don’t think so. If you try to navigate away from the payment page once more, you get an additional $30 discount that brings the final price down to just $47! These incessant down-sells should become a major red flag for you if you are considering to buy this program. If Auto Home Profits is really as good as they claim, why are they subjecting themselves to discount after discount? They are obviously begging you to buy into their scam! What if I Have Made the Payment? If you have unfortunately paid for Auto Home Profits, don’t try to claim a refund from within the members area. Chances are you will not receive a reply at all, since the scammers obviously won’t just comply and return you your money. However, you can try to request for a refund from Clickbetter refund page. Clickbetter is a third party vendor selling the the program, and they have a refund policy that they have to comply. So make use of that refund policy and request for your money back. Should You Buy Auto Home Profits? The answer is clear. The final verdict is NO, AUTO HOME PROFITS IS A SCAM! Automated Daily Income Review – A Scam to Avoid! I managed to get my $97 back thanks to your suggestion! Really thanks an bunch!